Azamara invites you to put yourself first with a rejuvenating spa treatment, an indulgent visit to the salon and a refreshing workout at the fitness center. Rejuvenate your body and spirit with a treatment at Azamara’s spa. The services range from facials and massages to a Thalassotherapy bath where you’ll enjoy the jets in a salt water bath overlooking the soothing ocean. 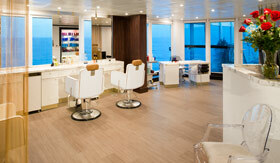 To feel your best, many people like to look their best, and that’s what Azamara’s salon is there to do. So go ahead and get a new hairdo or a refreshing pedicure. You can choose to work out on your own on the plethora of exercise equipment at the gym or you can take a yoga, cycling or even nutrition class. 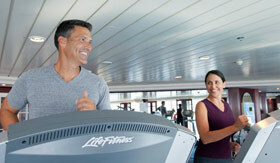 For a greater intensity you can get a personal training session where a personalized routine will be developed for you. Experience the ancient Chinese healing system while on your Azamara cruise. 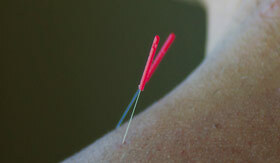 Acupuncture has been used for a variety of reasons, from stress relief to weight loss and pain management. 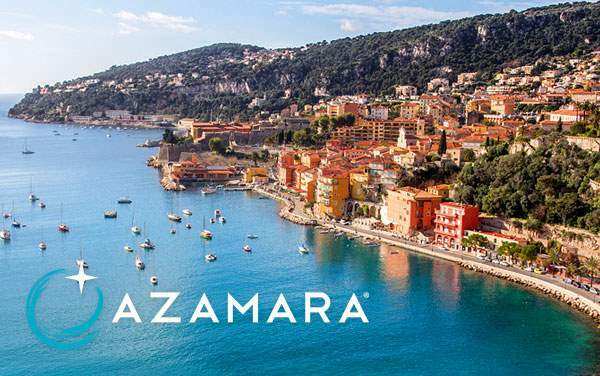 Try it out on your deluxe Azamara cruise.